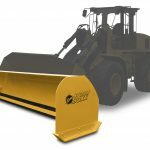 The popular FISHER® XBLADE™ and HD SERIES snow plows are available with a universal skid-steer loader mounting plate for fast and easy hook-up. Both plows feature Fisher Engineering’s proven trip-edge design. Only the edge trips back when striking an obstacle, leaving the blade upright and plowed snow in front of the blade. Like all FISHER® commercial-grade snowplows, the XBLADE™ and HD Series for Skid-Steers feature trip edge protection to get over bumps and obstacles, helping to protect the equipment and the operator. Since only the edge trips, snow stays in front of the blade, so you can keep on going without dumping the entire load of snow. The industry’s best protection against wear and rust. The automated climate-controlled powder booth ensures uniform coverage to all surfaces. An epoxy primer enhances powder coat adhesion and improves corrosion resistance. 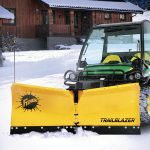 Plus, our trademark FISHER® yellow finish was reformulated to maintain that new snow plow look even longer. 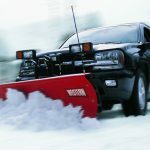 Change the way you plow snow, and take your business to the next level of profitability, with the FISHER® XLS™ Expandable Length Snow Plow. With the ability to expand from 8’ to 10’ wide, and then angle the wings to an 8’ 10”. scoop, or the ultimate windrowing configuration, you can be up to 30% more efficient. 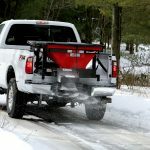 When the storms hit, be ready to control ice on parking lots of any size with the SPEED-CASTER™ 2 Tailgate Spreader, featuring a 2-stage delivery system that can handle all types of de-icing material, even wet sand! It’s easy to remove and reinstall without tools. NJSnowplows is a division of Danforth's, Inc. that Services snow plows & salt spreaders. Copyright Danforths, Inc. All Rights Reserved. Developed by; 20/20 Business Solutions, Inc.